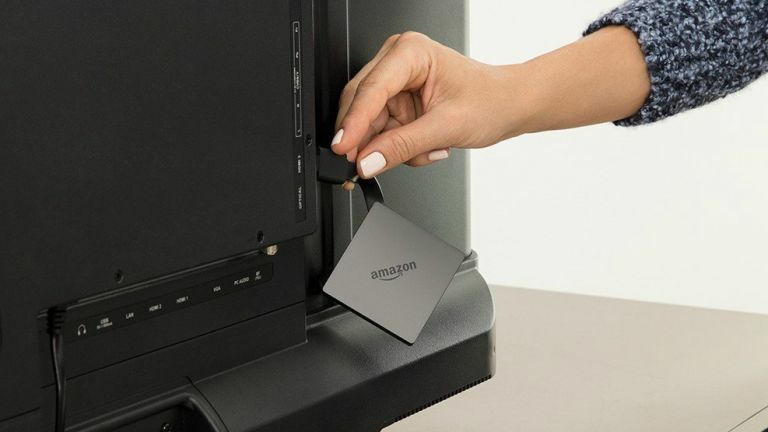 Amazon has released a new version of its Fire TV Stick that features 4K Ultra HD and HDR streaming, as well as an Alexa Voice Remote function and Dolby Atmos support. The 4K Fire TV also comes with an all-new diamond-shaped design that is intended to easily sit behind a television panel. And our hot take here at T3 Towers is that the new Fire TV Stick is indeed affordable, with a crazy low price of £69.99 making it an incredibly attractive proposition for those looking for a 4K, HDR streaming media experience. Not only can Fire TV now deliver on the content side, with over 200,000 TV episodes and movies, as well as 10,000 apps, channels and Alexa skills available, but also now on the hardware side of things too, with 4K, HDR, Dolby Atmos, 60 fps streaming delivered thanks to its 1.5 Ghz quad-core processor, 2GB of memory, 8 GB of storage, and dual-band, extended range 802.11ac Wi-Fi. The fact it delivers this package for a penny shy of 70 quid is amazing. The new Fire TV will start shipping on 25 October, 2017. Alongside its announcement of the all-new Fire TV, Amazon has also announced that its touchscreen-equipped Echo Show is, finally, heading over to UK shores. The Amazon Echo Show, which was first announced back in May this year, has been available in the US for months, however, from the 16th of November UK residents can also get in on the hands-free video calling action. The cost for said action? £199.99. Pre-orders are now been taken, naturally. We're still not really sold with the Show to be honest here at T3 Towers as a mainstream, Echo/Dot-level product, however, there is no-doubting its video functionality with be a USP for certain demographics, so having the extra choice in the range can't hurt. Plus, the fact that app to app video calling has been confirmed for the UK and is launching imminently makes it more of a sell too. As to which, if you're mad keen on the Show, then you can pick up two for £299.99 at the moment, a saving of £100. Amazon also has announced a new member to its Echo family of products: Echo Buttons. Echo Buttons are spherical illuminated buttons that are designed to allow physical interaction with other Echo devices, notably when a party game is being played by a group of people with Alexa. These buttons fall under Amazon's new Alexa Gadgets initiative, with compatible products powered by the new Alexa Gadgets SDK and Gadgets Skill API. "Echo Buttons deliver a new way for customers to play games with friends and family. Each Echo Button illuminates and can be pressed to trigger a variety of multiplayer and interactive game experiences." Echo Buttons come in packs of two and will launch later in the upcoming holiday season for $20 (we're guessing £20 in the UK).